A 17 ft. fiberglass boat with room for four people. Lifejackets and gasoline included in the rental price. A 12 foot alufish with room for two people. Lifejackets and gasoline included in the rental price. Guided tour to Kalvedalen. 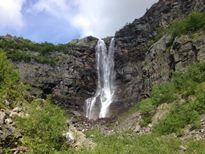 A great family adventure in the lush hidden valley of Kalvedalen. Join us for an evening out in a tee-pee, where you will be served delicious wild game casserole, in a cosy, peaceful setting. 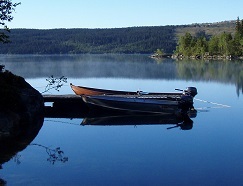 The evening takes place in our wooden octagen, a short distance from Lake Øyangen in Beito. 20:00pm - Thursdays - 330 Kr./adult / 215 Kr./ child (4-12 years).